pandacream: Everyone Loves a Surprise! I recently got a couple of new downline members and I wanted to give them something nice to say welcome to the team. My friend Esther who signed up lives quite a distance away and as she's starting out I thought it'd be nice to send her a few swaps from Convention plus a welcome card and gift. Here's what I made her! 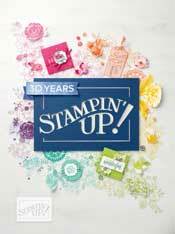 The Label Card Thinlit is a new-ish product for Stampin' Up! but its new to me. As I'd only just recieved it I just HAD to have a play and a card for Esther was the perfect opportunity! If you're wondering what is so special about the thinlit card dies, let me tell you, it makes FLIP cards!!! Its so easy to run through the big shot and out comes a cut and scored flip card. LOVE IT! I stamped the Beautifully Baroque stamp on the Vellum - I wanted a frosty lacy look and being the impatient person I am I didn't wait long enough for the ink to dry and got it smudged a bit so it ended up looking a little worn and vintage. The banner is one of the accessories the thinlit card comes with - how awesome!! A few little hearts just completed it nicely! 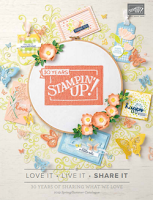 If you're inteerested in joining the Stampin' Up! family and my team, you'll not only get a little welcome gift from me but you'll get all the joys of being a demo too!! 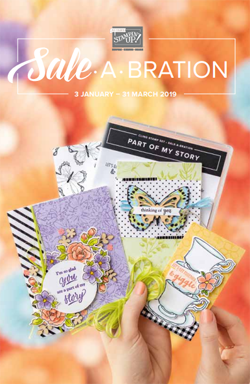 Sneak peeks, pre-order, ability to make some extra income and possibly the best of all DISCOUNT on all your crafty goodies! Oh yes, I LOVE being a demo!! Contact me today for more info on signing up! I hope you enjoyed seeing Esther's special things today. Come back soon for some more pretty makes! This is such a wonderful personalized gift! Very pretty!